Leia os ROTEIROS DA DÉCADA, os melhores, mais influentes, pelo menos na minha humilde opinião. Os critérios são um misto de gosto pessoal, prêmios que levaram, e se estão publicados na internet ou no mercado editorial para que vocês possam lê-los. As categorias serão: Roteiros Adaptados, Roteiros Originais, Roteiros Brasileiros, Roteiros de Documentário e O Roteiro da Década. ATONEMENT, Christopher Hampton based on the novel by Ian McEwan. (2007) Premiado: Satellite Awards. Indicado: Oscar; USC Scripter Award; Bafta; Golden Globe; CFCA Award; ALFS Award; OFCS Award. 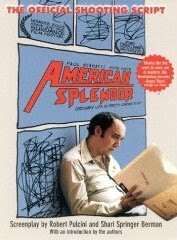 AMERICAN SPLENDOR, Robert Pulcini & Shari Springer Berman, based on comic book series American Splendor by Harvey Pekar. 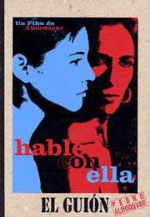 (2003) Premiado: WGA Award, Independent Spirit Award; BSFC Award; FIPRESCI Prize: Un Certain Regard, Cannes; COFCA Award; LAFCA Award; Chlotrudis Award; NSFC Award; SDFCS Award; Seattle Film Critics Award; Indicado: Oscar; CFCA Award; ALFS Award; OFCS Award; PFCS Award; Satellite Award. CHILDREN OF MEN, Alfonso Cuarón & Timothy J. Sexton based on the novel by P.D. James. (2006) Premiado: USC Scripter Award, OFCS Award; Indicado: Oscar; ALMA Award. DIARIOS DE MOTOCICLETA, José Rivera, basado en el libro homónimo de Ernesto Che Guevara y Alberto Granados. (2004) Premiado: Goya; Discover Screenwriting Award; Condor de Plata; CEC Award; Indicado: Oscar; BAFTA Film Award; WGA Award; Chlotrudis Award; OFCS Award. MUNICH, Tony Kushner and Eric Roth. Based on the Book “Vengeance” by George Jona. (2005) Premiado: KCFCC Award; Indicado: Oscar; Golden Globe; OFCS Award; WAFCA Award. THE PIANIST, Ronald Harwood based on the published memoir by Wladyslaw Szpilman. (2002) Premiado: Oscar; NSFC Award; Indicado: Discover Screenwriting Award; USC Scripter Award; BAFTA Film Award; César; Humanitas Prize; Golden Satellite Award; Polish Eagle. SIDEWAYS, Alexander Payne & Jim Taylor, based on the novel by Rex Pickett. Premiado: WGA Award; Oscar; Golden Globe; BAFTA Film Award; Independent Spirit Award; BSFC Award; Critics Choice Award; CFCA Award; FFCC Award; KCFCC Award; LAFCA Award; NBR Award; NSFC Award; NYFCC Award; OFCS Award; PFCS Award; SDFCS Award; Seattle Film Critics Award; SEFCA Award; WAFCA Award; Indicado: USC Scripter Award; Chlotrudis Award; Golden Satellite Award; ALFS Award. SLUMDOG MILLIONAIRE, Simon Beaufoy based on the novel by Vikas Swarup. (2008) Premiado: WGA Award; USC Scripter Award; Oscar; Golden Globe; BAFTA Film Award; Critics Choice Award; COFCA Award; CFCA Award; FFCC Award; KCFCC Award; ALFS Award; NBR Award; PFCS Award; SDFCS Award; SEFCA Award; WAFCA Award; Indicado: British Independent Film Award; European Film Award; OFCS Award; Satellite Award. THERE WILL BE BLOOD, Paul Thomas Anderson, based on the novel “Oil” by Upton Sinclair. (2007) Premiado: SDFCS Award; Indicado: Oscar; BAFTA Film Award; USC Scripter Award; WGA Award; CFCA Award; Chlotrudis Award; ALFS Award; OFCS Award. Veja também: Roteiros Adaptados, Roteiros Originais, Roteiros Brasileiros, Roteiros de Documentário e O Roteiro da Década. Discorda? Faltou o seu preferido? Na próxima edição: Roteiros de Documentários.